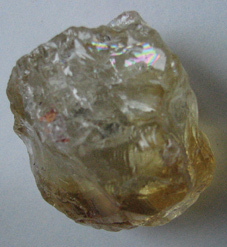 Calcite is one of the most important stones for industrial application. It can also be used as a gemstone in jewelry production. However, here we are going to touch upon its metaphysical properties and astrological connotations. Some people consider Calcite a suitable birthstone. We are also going to see what are the Zodiac signs that get the most benefits from wearing this gemstone. Calcite has been used to promote new ways of thinking and help create positive habits. Known as one of the stones that facilitate energy flow throughout the body, it can bring peace, balance, and calm in your life. As a spiritual stone, Calcite can be used to expand the consciousness to a higher level. This stone instills wholeheartedness, joy, and love. 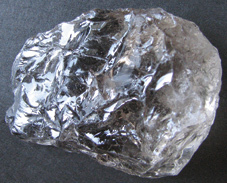 People in ancient Egypt used Calcite to make artifacts and adorn the tombs of their Pharaohs. In their culture, it has been associated with the earth element and used to amplify energy, and to cleanse energy blockages in the body. 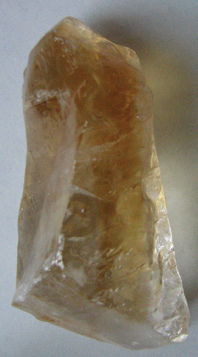 The word Calcite can be traced back to the Latin expression “calx“, meaning lime. The Greek word chalix seems to have the same meaning. The association is straightforward: Calcite is commonly found in many Limestone deposits. Today, the new age community associates Calcite with all four elements – earth, water, fire, and air. Depending on Calcite’s color, it can be used in protection, grounding, balancing, cleansing, or enhancing energy. In particular, Calcite is able to ground our spiritual experiences into the physical world and apply the acquired knowledge to our everyday life. Furthermore, it can help us unmask and bring to the surface of the psyche our deeply rooted behavioral patterns. With Calcite by our side we can see our bad habits more clearly. White or clear Calcite is commonly used for grounding and balancing of all seven energy centers – chakras. Colored Calcite, however, can be used to match the particular color of the individual chakras (black calcite – root chakra, orange calcite – sacral chakra, yellow calcite – solar plexus chakra, etc.). The colors of Calcite are many, for example, yellow, orange, blue, green, red, violet, pink, gray, brown, black, and transparent. Regardless of color, almost all specimens you can buy are either transparent or translucent. 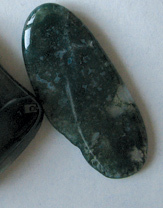 A distinct characteristic of this stone is its waxy luster. You can use this feature to undoubtedly identify Calcite specimens among other crystals and gemstones. The chemical formula of Calcite is CaCO3, which means that the main component of this stone is calcium. With only 3 on the Mohs scale, it is not a hard crystal, so be careful as it can be easily stretched. Calcite is not a member of any official birthstone chart. It doesn’t belong to the traditional, modern, Ayurvedic, or mystical list. However, that is not to say that you shouldn’t use it as a birthstone. In particular, Calcite is suitable for the Zodiac sign of Cancer. It is also considered by some to be a planetary stone of Venus, the Sun, and the Moon. As a Cancer Birthstone (the Moon ruling planet), all colors of Calcite come with some benefits. Green Calcite can help the Cancer individuals calm down their emotions and deal with problems related to the heart chakra. Green is also the color of physical healing, so Green Calcite can be used in healing. Blue Calcite is an all-around healer that improves the energy flow throughout the body, but it can also heal the mind. Blue Calcite also helps clear any creative blocks people born in the zodiac sign of Cancer might have. The other Zodiac signs may also benefit from Calcite, especially Libra (Venus ruling planet) and Leo (the Sun ruling planet). As most of the gemstones and crystals used in metaphysical practice, Calcite is a tool in self healing and crystal therapy. It is good for increasing stamina and dealing with back pain. It is believe to help with bone, teeth, and cartilage problems. On the level of the physical body, it is believed that Calcite, due to its calcium content, helps calcium absorption and distribution of this nutrient throughout the bones, joints, and skeletal system. You can use Calcite (especially the blue variation) whenever you need to induce sleep, repose, and calm. 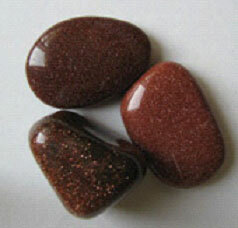 If you are stressed or in need of relaxation, this stone is excellent to promote recuperation of the entire body. If you use Calcite for meditation, self-healing, or any other metaphysical work, make sure you cleanse and charge it regularly. Calcite is a good stone to improve the functioning of the mind. Especially it is good to improve the person’s analytical skills, the power of discernment, learning skills, and memory. It is a good stone to have by when you know you are going to have to adjust your life and deal with difficult situations.